Everybody likes getting stuff for free, even if it happens to be something trivial like a free water bottle or flashlight from your local convenience store. On literally dozens of occasions, I personally have been coaxed into purchasing a few extra items just so that I could get some "free" trinket that I don`t want or need; however, I can count on one hand the number of times I have actually been given something for free that I was more than willing to spend money on. 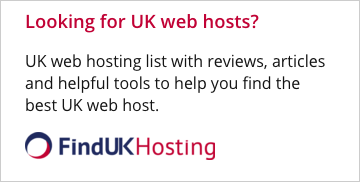 Free Hosting service is one of the few chances any of us have of getting something we actually want for free, and is the perfect alternative for those amateur webmasters out there looking for an out-of-the-way corner of the web to call their own. Free Hosting is a service provided by several hosting providers, which allows users to create a basic personal web site for free. This site will offer some of the features of a commercial website, but also be hampered by more limitations. Contrary to virtual hosting, which allows users to use their own, individual domain name, ie. www.yourname.com, Free Hosting provides users with a domain name based on the name of the host, ie. http://yourname.freehost.com, or www.freehost.com/yourname. What are the Advantages of Free Hosting? The most significant advantage Free Hosting possesses over Virtual Hosting, is that it is available at the best price of all - absolutely free! In addition, the Free Hosting provider assumes responsibility for web administration and server maintenance, which means that the hosting beginner can create a functional site despite having no technical expertise whatsoever. In addition, the setup process for Free Hosting accounts is generally very simple, and often complemented by a setup tutorial. Free Hosting accounts are not barren of options either, and typically offer FTP capability, as well as a range of pre-installed CGI scripts. These options allow you to give your free website the look and feel of a professional, commercial site, without taking a penny out of your pocket. What are the Disadvantages of Free Hosting? In a perfect world, Free Hosting would offer a full range of added value options, unlimited file transfer, and the broadest bandwidth available on the web, only we don`t live in a perfect world. Despite numerous advantages, or perhaps as a result of them, Free Hosting does have several flaws which will make more serious webmasters reach for their checkbooks or credit cards to pay the extra money for a Virtual Hosting package. Free Hosting packages do now offer the same options, or support services provided by Virtual Hosting packages, which means that your website will not contain features like a database, shopping cart, or 24 hour phone support. In addition, Free Hosting does come at a price, which is typically paid for by advertising promoting the hosting provider. Nevertheless, it is a small price to pay for the beginner looking to create a small personal homepage, and for this reason alone, the overwhelming majority of personal web pages on the web today are served by Free Hosting providers. So if you are looking to test the waters of the Web Hosting industry, and are either unable or unwilling to put up the cash for a Virtual Hosting account, Free Hosting is the perfect solution. 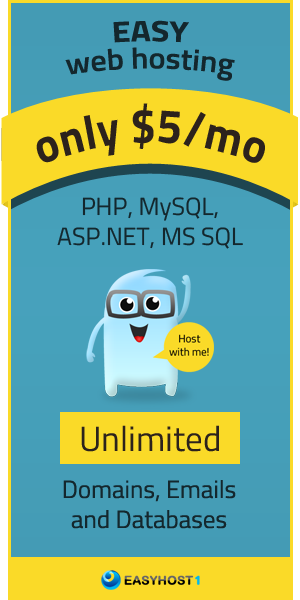 Despite a number of limitations, Free Hosting still allows you to make your presence on the web for absolutely nothing, and is a great place for beginner webmasters to get valuable experience with absolutely no risk involved.